Tentworld: Q&A: What portable camping toilet do I choose? Q&A: What portable camping toilet do I choose? I would recommend the Dometic SaniPotti 976 toilet. 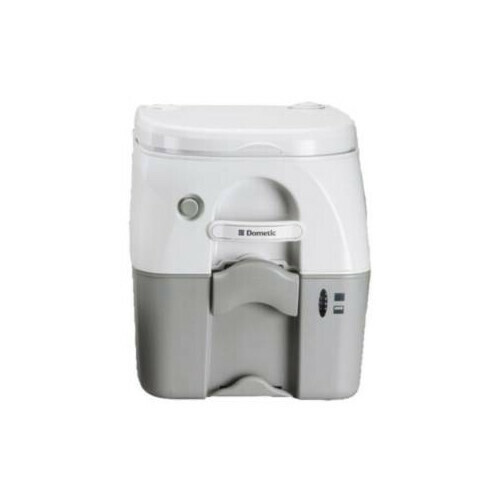 The Dometic 976 portable camping toilet is a great choice for caravanners and campers. Pressurised flush tank, makes it more water efficient. Meaning you can go longer without having to empty the holding tank. Extended pouring funnel, allows you to be further away from the pouring action when you're emptying the toilet. Breathing valve on the holding tank, means that you can pour it without it glugging for air meaning a nice smooth pouring action with minimal chance of splashing. Dometic have service agents across Australia, so it can be repaired wherever you are.